Each winter I'm amazed at the hardiness of lettuce. 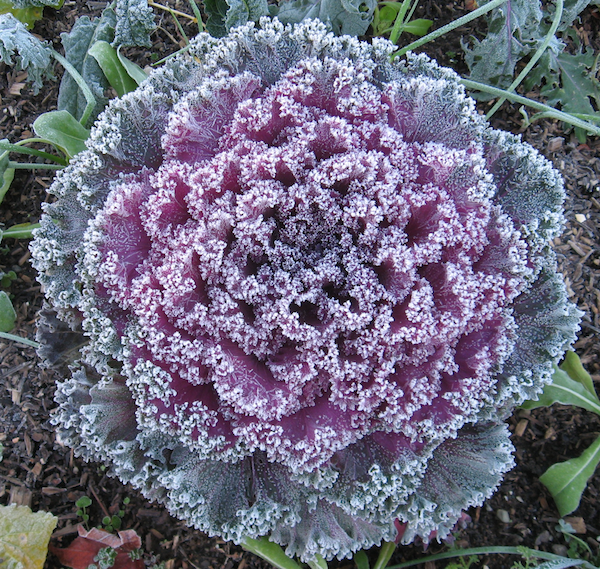 You would expect this delicate leafy vegetable to shrivel and die at the first hint of frost, but I'm always surprised and charmed by its hardiness. 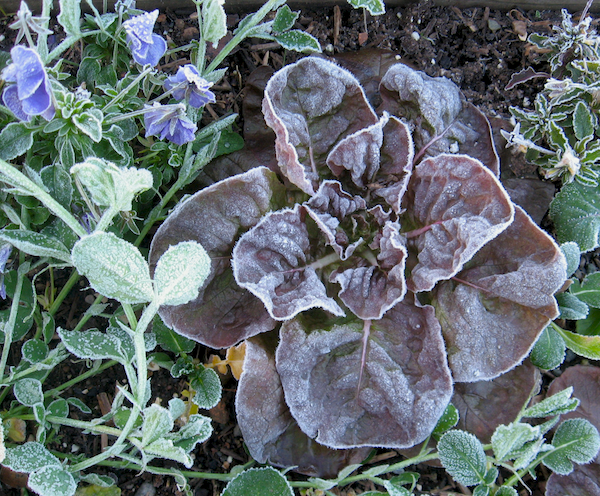 Here in the San Francisco Bay Area we've been getting regular frosts and I've learned that lettuce survives this quite well. 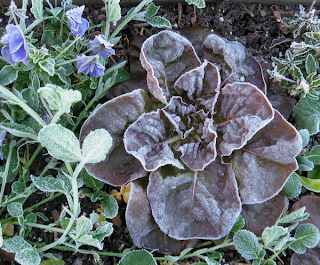 The photo above shows one of my favorite lettuces: Yugoslavian Butterhead, completely frosted in the morning. It looked as if it had been candied in sugar. 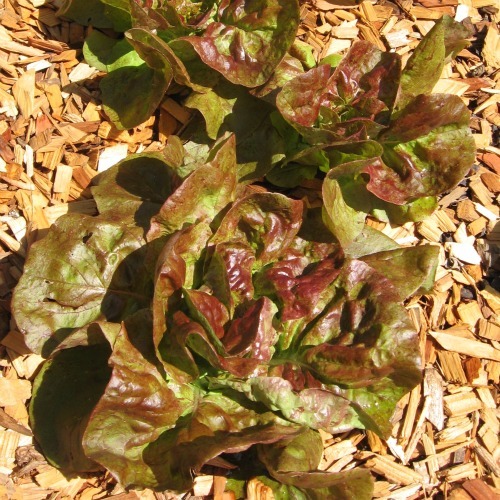 This lettuce is both beautiful and delicious for salads, and most welcome in the winter months. Other lettuces I enjoy growing and eating are: the unusual Cracoviensis with striking bronze foliage, tender Three Heart lettuce, an heirloom I recently trialed for Seed Savers Exchange (now available through them), and Merveille de Quatre Saisons, another butterhead type (Marvel of Four Seasons- why use the original French name? So that we can trace its history and can correctly identify it in the future). 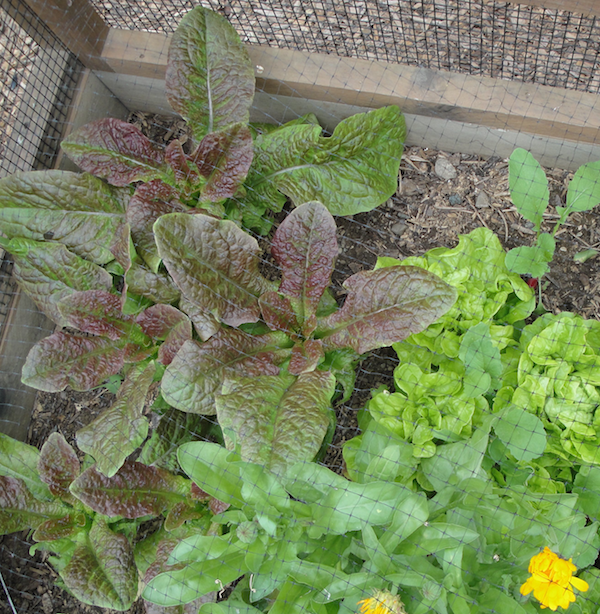 Share your lettuce tips: are you growing lettuce this winter? what varieites perform best in your area? in the ground or under cover?